Posted on December 26, 2018 by Richard S.
When you are in Kuwait you should know about transportation services that cost extra in Kuwait. Especially if you just moved to this country. You should do your homework and learn about this country and its customs. For starters, you should know what transportation services cost extra so that you cannot say you weren’t informed once the bill arrives. That is why we will try and advise you on this subject in particular. We will mention every transportation service that may cost a little bit more than you maybe thought or planned that it will cost. If you are moving and shipping your items to Kuwait, check prices and everything you ought to know for air freight Kuwait. As you may be already aware, taxi service may cost always a bit more then you have planned. What is somewhat different in Kuwait is that there is absolutely no taximeter. Therefore, once you order a cab you will negotiate the price immediately. The price will obviously depend on how long you will be in the cab. So, do not forget this fact about Kuwait, and when you get in the car, there is no use for you to look for a meter, it just won’t be there, and you will have to pay the agreed price. This is nothing to worry about because prices for taxi service in Kuwait are really reasonable, but during the night, logically the prices are somewhat higher. 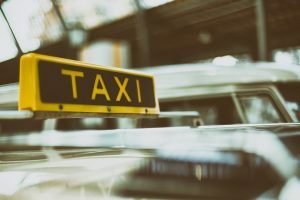 One very important heads-up information is that as in any other country there are taxi drivers that do not belong to any licensed company and their fairs can be pretty expensive, so they are someone to avoid at all cost. So, before moving here, as one of the leading moving companies in Kuwait, we suggest you inform yourself well. And maybe we missed some, but more or less this is it. Not a small choice. However, when it comes to Kuwait, one of the safest ways to travel is by airplane. Of course, it all depends on your destination, but we don’t say that is the safest way for nothing. Kuwait has one of the safest airlines’ companies in the world. This means that when something is good, prices are bound to be a bit higher. However, nothing that is overboard of course. If you have some special demand, we can say that it can go under transportation services that cost extra in Kuwait. Air freight can cost a bit more than you have planned, but that is something on what you can not really save money on. One very interesting fact about Kuwait when it comes to transportation is that gas prices are somewhat low. That is why you can find a cheap taxi, or you can rent a car paying a small price. So, when it comes to transportation services that cost extra in Kuwait you have to dig deep. And that is a good thing. Transportation, in general, is affordable in this country, so except you have some special demands, you are fine. Another fun fact about transportation in Kuwait is that even though we have mentioned trains as a method of transport, trains are not something that you will find in Kuwait. Of course, this is something that is planned to be in the future in Kuwait, so maybe once everything is done and railway gets all nice and shiny, train tickets will maybe cost a bit more. Stay tuned. There is a number of private transportation companies in Kuwait. Of course, logically, their line of business is just that, the transportation. You can hire them just to drive you from point A to point B. Additionally, you can also hire them for moving purposes as well. They can transport anything you need, you just have to let them know what are they transporting and where. Based on that, you will get your bill for the favor. Of course, prices vary depending on what are they transporting, where to, and how many hours will it take from their working day. When you add all of these facts, the price can be a bit higher. That is why, if you are in the process of moving maybe it would be better to check out the shipping companies in Kuwait. This is one of the better ways not to pay extra if you don’t have to. When it comes to sea transport, the one in Kuwait is very well arranged. Again, maybe we can count it in transportation services that cost extra in Kuwait if we talk about transporting the busses and other vehicles. However, even if you do pay some extra money it still won’t cost a lot. There are arranged daily sea transportations to your destination. Using a ferry in Kuwait is actually a great way to travel. And it has a lot of sense even if you own a car. 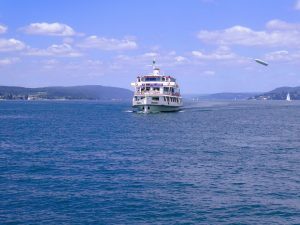 You just enter the ferry with the car and you can enjoy the ferry ride without any worry on your mind. This can maybe be an extra cost, but as we mentioned already, nothing that you cannot handle when it comes to price, but it is always good to have prepared a bit more money just in case. So, if you need to relocate any of your items, sea freight Kuwait is the way to go! In Kuwait luckily, there aren’t many transportation services that cost extra in Kuwait. This is excellent news and it means that you can dedicate yourself to exploring this great country. You can do it in your own car, traveling by ferry, by a plane, taxi or a bus. Whatever you like the most. The choice is up to you. 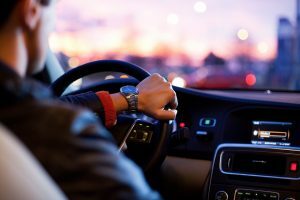 However, in case that you are an expat and you own a car make sure you learn about the license you would need for this endeavor.